LOS ANGELES – Los Angeles Lakers continue to show that he was powerful in the beginning of this season after defeating the Golden State Warriors 107-83 on Monday (1/11/2010), local time, on NBA basketball competition. Lakers victory is not separated from the play apiknya two star Pau Gasol posted 26 points and 12 rebounds, followed by Kobe Bryant added 20 points. 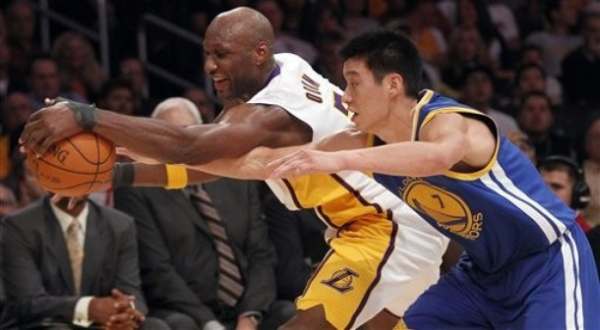 While Lamar Odom recorded 16 points and 14 rebounds. This is the tenth consecutive wins for the Lakers, and the second at the beginning of this season. The dominance of the Lakers have seen since the opening quarter. Los Angeles immediately covered Golden State 55-42 in the quarter beginning. Golden State Warriors shooting guard Monta Ellis, was a focus on points scored. Ellis recorded 20 points for the Warriors. Guard Stephen Curry’s absence due to ankle injury, just affects the Warriors game. Dorell Wright is behind Ellis with a shot 18 points for Golden State. Meanwhile, the All-Star forward David Lee, failed to score points and only had three rebounds in 19 minutes. Lee lost the dominance of Gasol and Odom. Warriors had got up at three quarter after rookie Jeremy Lin went into the field. Asian players were playing quite nicely and got a rousing welcome from the audience. His first points in the NBA was printed after a lay-up in the third quarter of this. 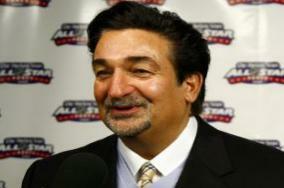 LAS VEGAS – Los Angeles Lakers recorded their first victory of the NBA pre-season event. Host Sacramento Kings, Phil Jackson’s squad won 98-95. 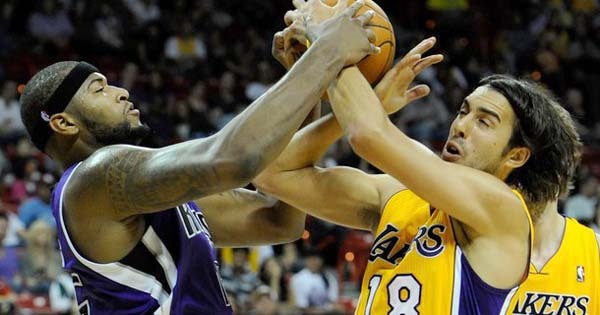 The victory in Las Vegas on Thursday (10/14/2010), is the first of three pre-season Lakers game. Previously, Bryant et al are not able to overcome resistance and Minensotta Timberwolves basketball club Barcelona. 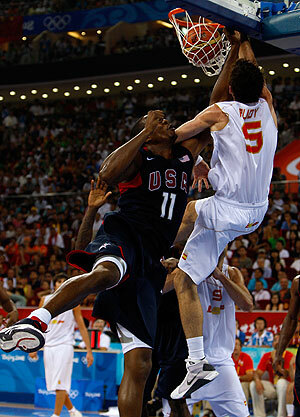 Pau Gasol and Ron Artest became a star in this game are both recorded 18 points for the Lakers. Followed two reserve players Shannon Brown’s 17 points and young star Devin Ebanks add 10 points through the incision. Carl Loundry a mainstay player the Kings in scoring points. Former Houston Rockets star produced 23 points. DeMarcus Cousin supplement it by collecting 14 points. Lakers who first appeared in America, had led 15 points in the final quarter. However, the Kings had time to catch it. Luckily, Kobe et al still able to maintain victory. – Pemilik klub Washington Wizards harus merogoh koceknya ratusan juta rupiah karena dinilai NBA melakukan kesalahan yaitu membocorkan informasi tentang salary cap yang masih didiskusikan secara interen. Sanksi denda yang dijatuhkan pada Ted Leonsis sebesar 100 ribu dolar AS atau lebih dari Rp 800 juta. Kesalahan dia adalah ‘memberitahu kepada publik tanpa izin hal-hal yang sedang dinegosiasikan secara kolektif oleh NBA.’ Demikian dilaporkan Reuters, Kamis (30/9/2010). Ia diketahui berbicara kepada sekelompok pengusaha bahwa NBA akan menerapkan kebijakan sistem salary cap yang serupa dengan yang dipakai liga hoki es atau National Hockey League (NHL). Komisioner NBA David Stern mengindikasikan bahwa ide itu memang termasuk salah satu sedang dibahas. Namun, karena masih dalam proses, semestinya Leonsis tidak mengungkapkannya dulu kepada publik. Salary cap NBA dihitung berdasarkan persentase pendapatan liga. Nilainya untuk musim 2011-2011 adalah 58,04 juta dolar AS. Klub-klub juga diperbolehkan melampaui nilai salary cap yang ada asalkan mereka membayar penalti pajak mewah (luxury tax). what it is basketball ?? Basketball, basketball (English basket (basket) ball (ball), basketball or basketball  is a team sport that takes place indoors, in which two sets of five players each try to score points, too called up double baskets or introducing a ball into a hoop placed 3 meters hanging a network, which gives it an attempt canasta.Se a basket or get to it running and pushing a left or right hand should be left-hander, the ball to the floor. It is known by the national federations  and basketball in the Caribbean and Spain, such as basketball or basketball in most South American countries and Mexico, and as a basketball in Argentina and Peru, by its original name Castilianization English: basketball . It was invented by James Naismith, a Canadian physical education teacher in December 1891 at the YMCA in Springfield, Massachusetts, USA. Played with two teams of five people during four periods or quarters of 10 (FIBA)  or 12 (NBA) minutes each. At the end of the second quarter, it takes a rest, usually 15 to 20 minutes depending on the tournament’s own rules which the party belongs.